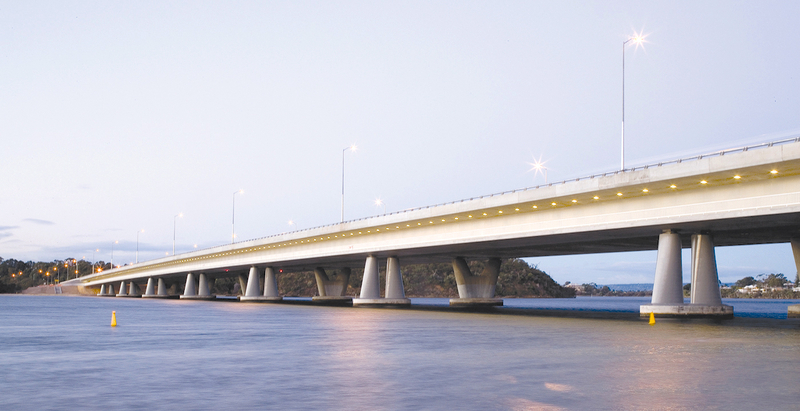 The South-West Metropolitan Rail Corridor – Package E project involved the provision of a new bridge carrying three lanes of northbound traffic and located west of, and partially enveloping, the existing Mount Henry bridge structure, which was also strengthened as part of this project. By constructing the new bridge on the western side of the existing bridge, encroachment onto the adjacent and environmentally significant Mount Henry Bush Reserve was eliminated, and impact on the approach area at the abutments and river foreshores was minimised. 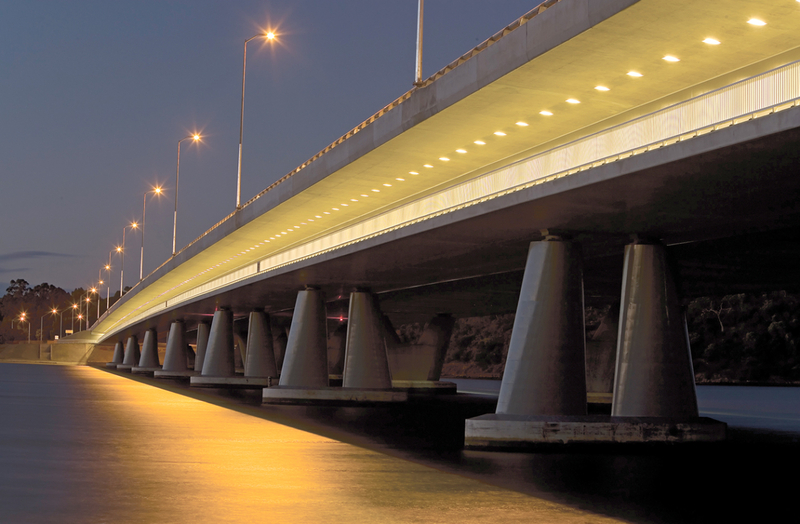 The design and construction of the new Mount Henry Bridge called for a sensitive and considered approach as it formed part of the Kwinana Freeway spanning the Canning River in an area of high architectural, urban, recreational and environmental significance. Parry and Rosenthal Architects formed an integral part of the project team, providing design input into creating a new structure that complements the existing bridge without resorting to mimicry of form. The new bridge’s fine lines embraces the existing structure without overwhelming, while the bridge piers feature as a striking distinctive design element. The design of the new Mount Henry Bridge creates a visually simple and clean addition to the existing bridge that was cost effective, time efficient and able to be implemented with minimal disruption to the heavy traffic flow across the bridge during construction. The new traffic bridge consists of an incrementally launched pre-stressed reinforced concrete box girder superstructure and is complete with underslung cantilevered dual use path. The superstructure complements the iconic form of the existing bridge. Piers are formed up to align with the piers of the existing bridges with twin columns in a tapering chamfered geometry. Axiomatic to the project was the recycling, adaptation, strengthening and reuse of the existing bridge and approaches to comply with current and anticipated safety and environmental standards. The redirection, collection and treatment of storm water eliminated the runoff of contaminated storm water into the river system contributing to improved water quality. As a critical link between Perth’s urban core and the state’s south west corridor, the Mount Henry Bridge displays an overall cohesion of strength and elegance with the iconic nature of the original structure eloquently complemented by the new bridge.